Game Night | Sweet . Sassy . and a bit Smart-Assy . Friday Night we had Game Night at Gina & Preston’s house. It had been about a month since I was at their house so I was in shock when I was greeted by Barrett. 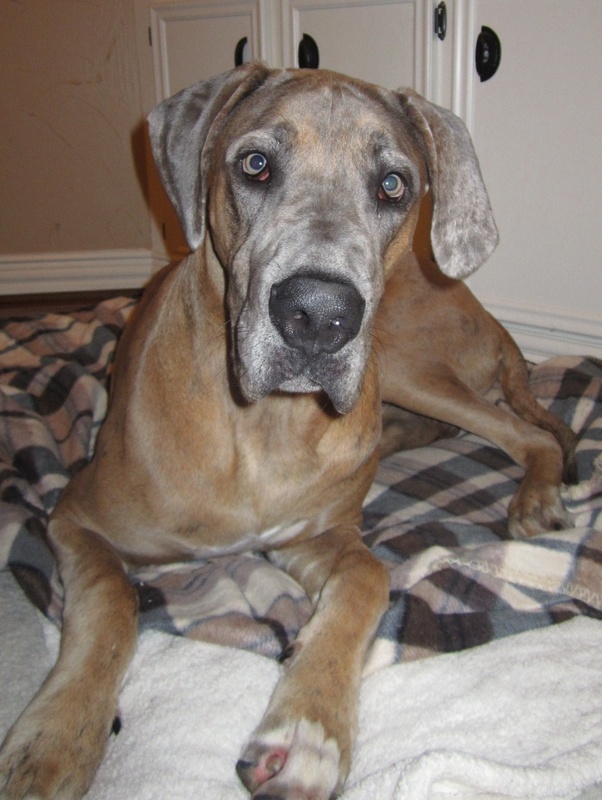 Barrett is their 10 month old “baby” Great Dane. Last time I saw him, which only about a month ago, he was at least 3 inches and 30 pounds smaller than he is now! 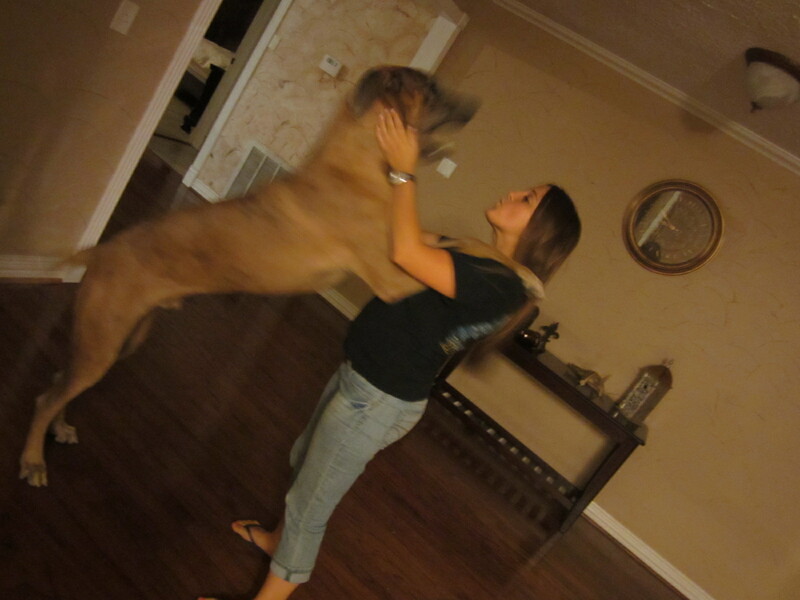 He weighs 140 pounds and, as you can tell from the picture, is much taller than me. 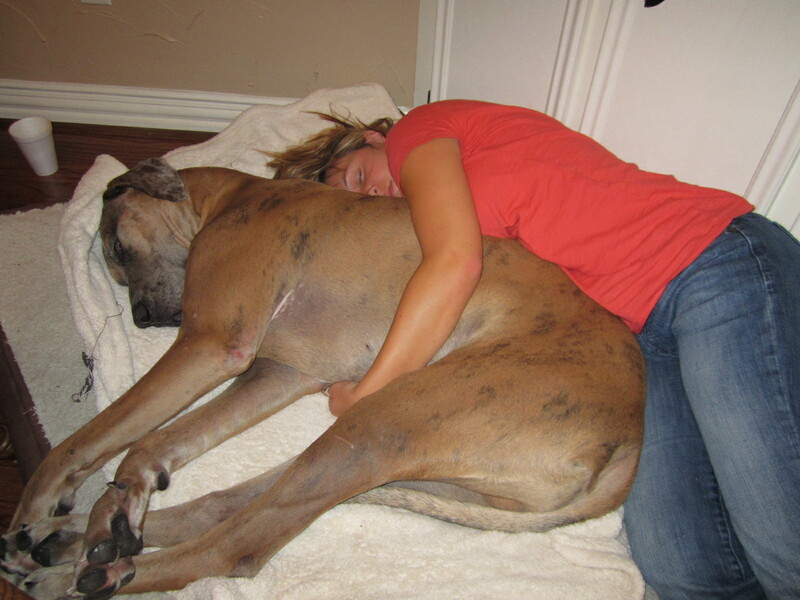 Given I am only like 5’1″ but still…He’s HUGE! We started off game night by playing LCR. I had never played this game before but it was very simple. 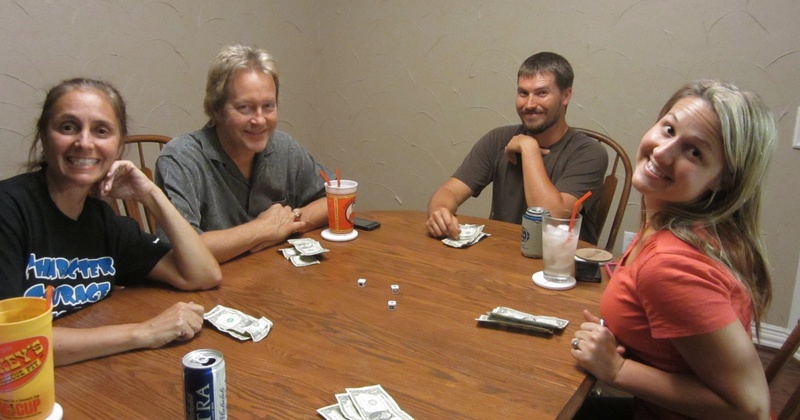 LCR is a dice-rolling game in which you start out with 3 dollar bills. You roll 3 dice and you pass or keep your money depending on what the dice read. L=Left, C=Center, R=Right, and Dot=Keep. Whoever is the last player holding money, gets the Center pile! Of course, as you’ve seen with my previous dice-rolling skills from Bunco, I am terrible at these type of games. In a span of maybe 10 minutes, I lost 9 bucks. Next time, I would like to play with quarters instead of dollar bills. 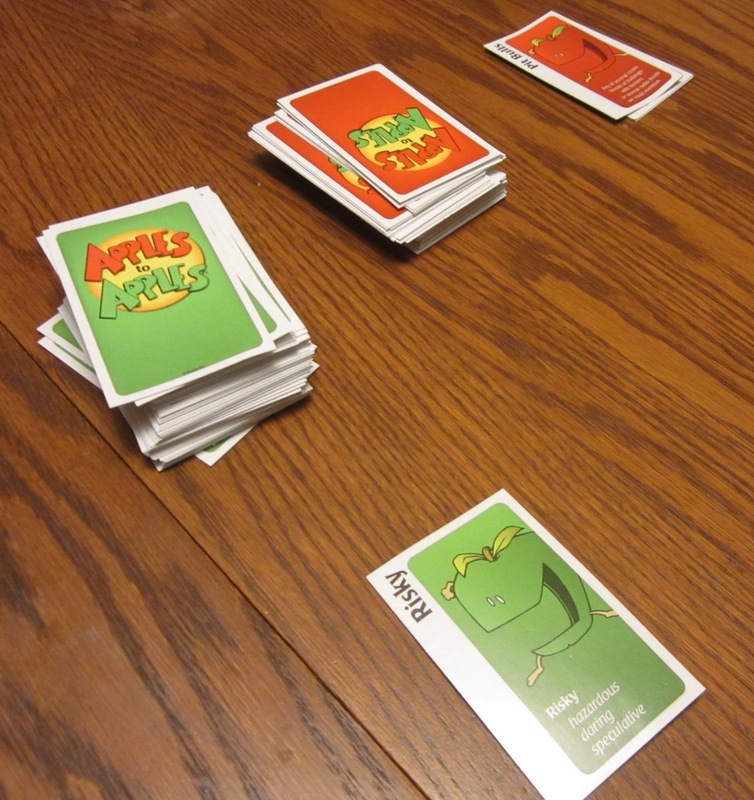 Then we moved on to Apples to Apples. This game involved no money being wagered so I was a much happier camper. Barb and Skip left, then Paige, Neva, Korey, Kelsi, Morgan, and her little sister showed up. (Somehow I didn’t get a picture of everyone.) We played a little more Apples to Apples. This time, I did a little better, but still not great. We played some Catch Phrase and I am proud to say I am great at this game! Probably because it involves yelling out random things but that’s a minor detail. We played games for a few hours but then Gina got sleepy. Gina thought that Barrett looked pretty comfortable and decided she wanted to cuddle with him. Precious. It was a fun night with friends and I vote many more game nights in our near future!